With a name taken from one of Santa's Raindeers, Vixen Optics was established in 1949 in Japan with the mantra of bringing happiness to all their users. Initially, the companies main focus was firmly fixed on astronomy and they produced only telescopes and mounts, but Vixen has since expanded into many other areas and so as well as telescopes, they now manufacture a wide range of spotting scopes, microscopes, binoculars, monoculars, opera glasses, related accessories, and mounts. As you would expect from a company that started life making telescopes, Vixen Optics manufacture a wide selection of binoculars for astronomy and are very well respected in this area in particular. Probably best known for their very high quality binocular telescopes, they also have a small offering of excellent giant binoculars designed to be used with a tripod, with the range of Vixen ARK binoculars being particularly good binoculars for stargazing. As well as this, Vixen Optics also produce a wide variety of smaller hand held astronomical binoculars to cater for most budgets. Most of them are of the more traditional porro prism design and in configurations like the 7x50, 10x50, 12x50 and even 16x50 that are popular with astronomers. Although with the higher magnifications, a tripod is most certainly reccomended. The company also make a zoom binocular and the somewhat unique Vixen 2.1x42 Constellation binocular. With it's super wide field of view and large exit-pipil, it allows incredible views of constillations, star clusters and the moon. As well as astro bins, Vixen has taken their obvious optics expertise and have now expanded into the terrestrial sport optics sector and have both roof and porro prism instruments to suit most budgets and popular uses including general use, birding, wildlife observation, hunting, and travel. 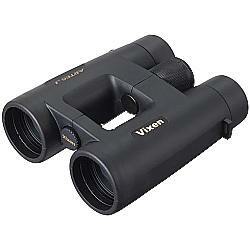 Top of the range is the Vixen ARTES-J DCF ED Binoculars that feature an open bridge roof prism design. A popular series is the Vixen Atrek II DCF Binoculars that are available in standard 42mm, mid-sized 32mm, and compact 25mm configurations. They also make a binocular with image stabilization, a good selection of opera glasses, monoculars and not forgetting the Vixen Atera Image Stabilized Zoom monocular. 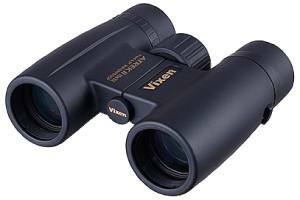 This series of super high quality Japanese made binocular telescopes are probably what Vixen Optics are best known for. As with telescopes and higher specification spotting scopes, the eyepieces are changeable and you can choose the magnification that best suits your needs. In terms of their body and the objective lenses in particular, Vixen BT Astronomical Binoculars are available in a range of different sizes, from the large aperture 70mm options to the giant 81mm ones, to the supergiant 126mm lenses that are able to collect 300x more light than the naked eye! 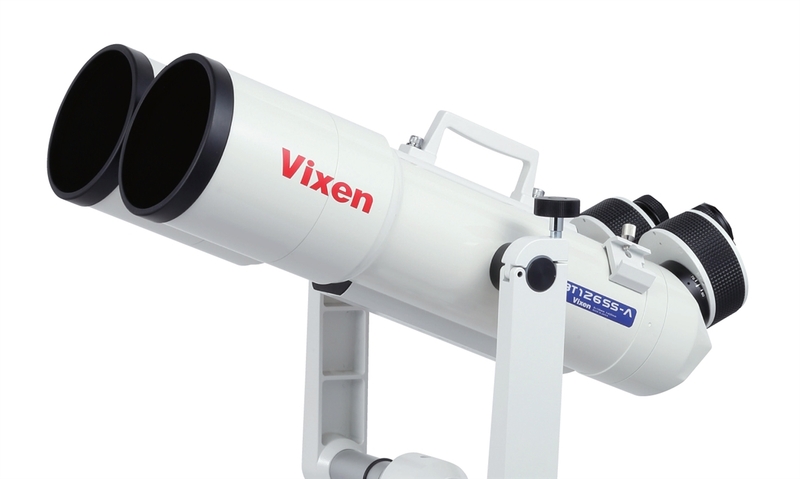 This series includes the Vixen BT126SS-A, Vixen BT81-A, Vixen BT81S and the Vixen BT ED70S-A Binocular Telescope that contains ED glass elements to reduce color fringing to the lowest levels possible, which when viewing distant stars and galaxies under high magnifications in the night sky is super important. Sometimes called the Vixen Constellation binocular, the super wide field of view that you are presented with when looking through these unique binoculars means that you are able to observe full constellations and clusters without having to pan the view about. So whilst increasing the magnification by only 2.1x may seem a little low, it does allow you to observe stars that you cannot normally see with the naked eye, but at the same time, you are still able to enjoy the beauty of observing the entire constellation. 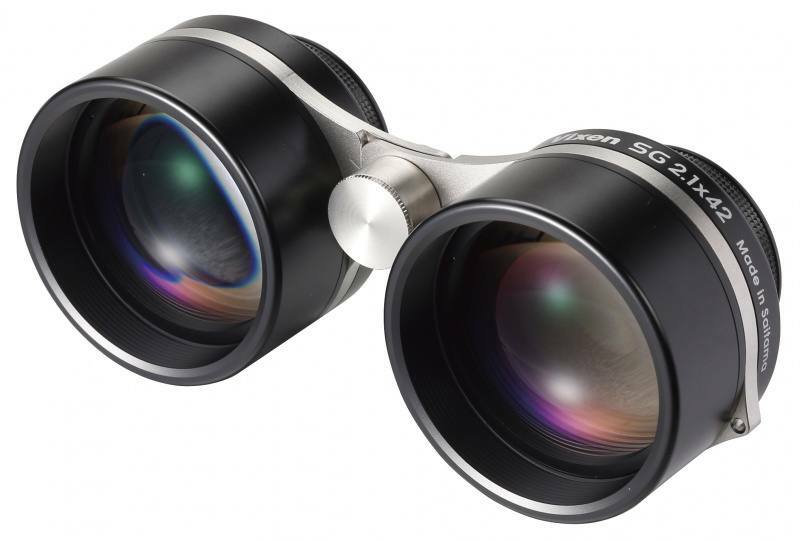 So whilst I would not recommend this as an alternative to your telescope or high powered astronomy binoculars, these Vixen SG 2.1x42 Widefield Binoculars really do make a great addition and another way for you to enjoy the sky at night. Its small size and low weight make it perfect for taking out on camping trips and can really help beginner astronomers navigate the night sky without getting disorientated. I also found that it really added to my enjoyment of the moon as the slightly higher detail lets you more easily observe and recognize the craters and other features without the need of a tripod. One of Vixen Optics most recent introductions is the series of Artes J DCF ED binoculars, which builds on their original Artes binoculars with a number of improvements, including the addition of ED glass lenses that potentially offer an improved image resolution with the reduction of color fringing. Available in the two most popular configurations (8x42 &10x42) , I guess you would call the Vixen Artes J DCF ED binoculars the companies flagship series amongs their terrestrial range of sports optics. Made in Japan and utilizing BaK4 glass roof prisms with an open bridge body design, other notable features include a fully multi-coated optical pathway, and dielectric coatings on the prisim which will both boost light transmission. 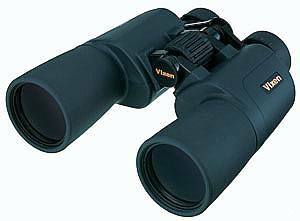 8x42 366ft 19mm 9.8ft 24oz 5.7x5.1x2"
10x42 315t 17mm 9.8ft 24oz 5.7x5.1x2"
With their traditional Porro prism design, the series of Vixen Ascot binoculars have a definite leaning towards stargazing and the night sky. However, as there is a large range of size and magnification combinations available as well as an easy to reach and fast to adjust centrally located focus wheel many of them are also perfectly suitable in a wide range of land-based activities. Aimed at the enthusiast, these mid-range Vixen binoculars come with features like a fully water and fog proof chassis, fully multi-coated optics, right-eye diopter adjuster and twist-up eyecups. In general and depending on the exact configuration in question, the specifications like their field of view, close focus distance and eye-relief are generally good, all of which further add to their wide range of uses. Building on their successful Atrek series, Vixen Optics have made a number of improvements to their new Atrek II binoculars which can now certainly be described as high quality, mid-priced binoculars. One of the biggest improvement is the inclusion of a field flattener lens element within each eyepiece. These correct field aberrations that causes the edges of the view to be out of focus when the center of the view is in focus and thus the result is a sharper, higher definition image across the entire field of view. Compared to the original Atrek series, the corresponding models also tend to have a much wider field of view, although in most cases this has also meant a slight reduction in eye relief and a slightly longer minimum focus distance. Although for the most part, this is still excellent. Other highlights include a fully multi-coated optical pathway, BaK-4 roof prisms, a 100% water and fogproof chassis with rubber armor exterior, twist-up eyecups, a large centrally located focus wheel, and a right eye diopter adjuster. 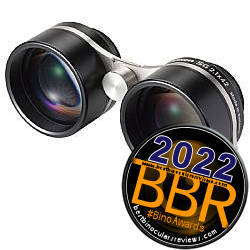 Below are my full Vixen binocular reviews: View >> All the Vixen Binoculars that I have reviewed.